BASSETERRE, St. Kitts – The Honourable Shawn Richards, deputy prime minister, joined cabinet colleagues in wishing safe passage of the Firearms (Amendment) Bill 2017 when he addressed the National Assembly June 14, drawing on his own personal experience as a victim of gun crime in order to strengthen his argument that tougher penalties are necessary to help deter individuals from using illegal firearms. According to a police press release, on the morning of March 10, 2017, multiple shots were fired at the Sandy Point home and personal vehicle of Richards. He and other family members were at home, but no one was injured. Richards – who also serves as minister of education, youth, sports and culture – said it is for that reason, first and foremost, why he strongly supports the Firearms (Amendment) Bill 2017. 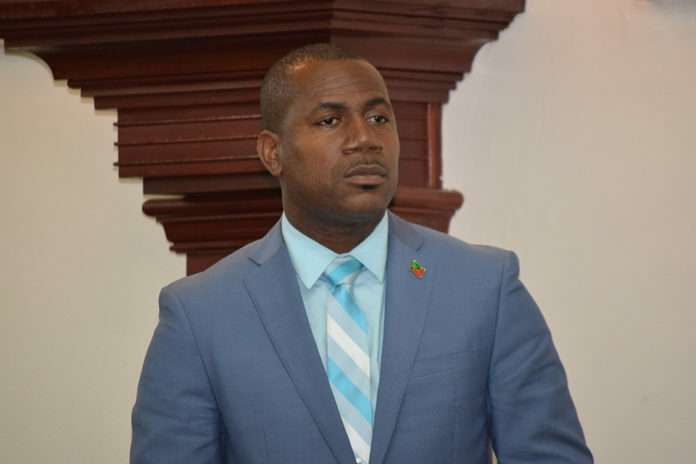 The deputy prime minister further noted that this piece of legislation, by itself, is not the solution to the country’s crime situation, “but we are saying to those who have been caught with illegal firearms that you must pay the price,” he said.